This James Gibson designed JG3 has a stonewashed black oxide finished 1095 steel blade with a flat grind paired with a tan Micarta handle. 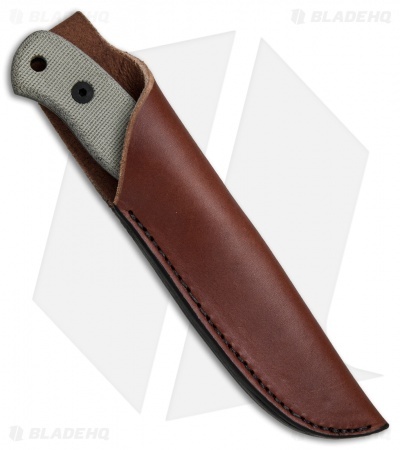 It is supplied with an upgraded leather pouch sheath. 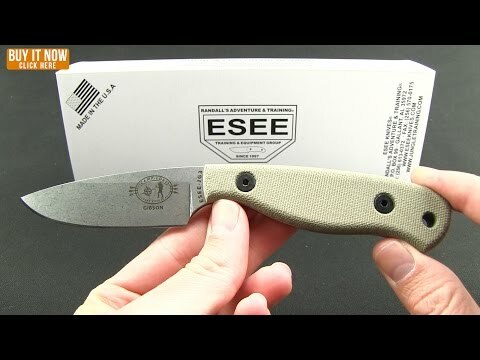 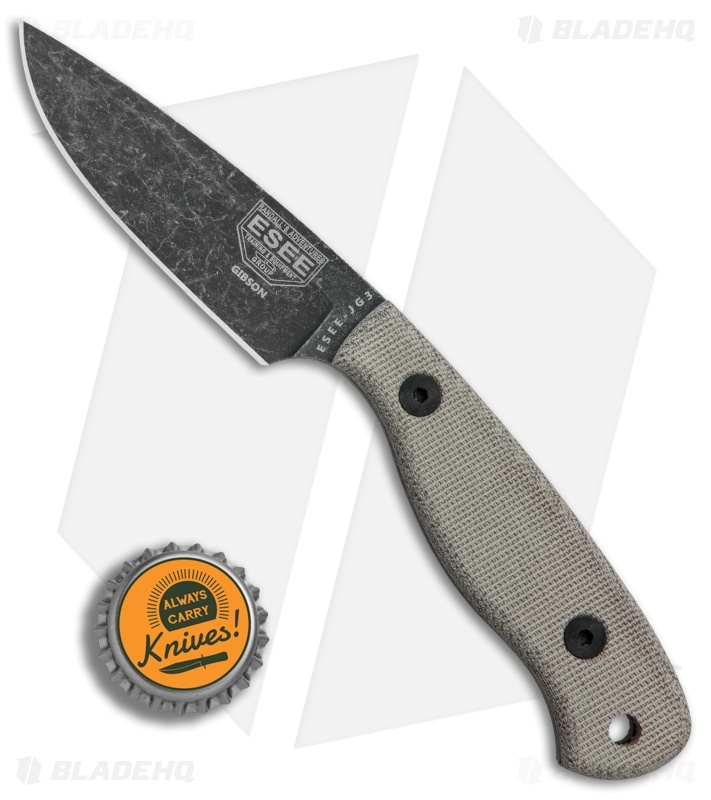 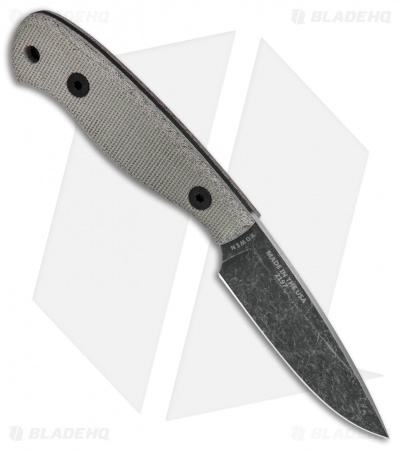 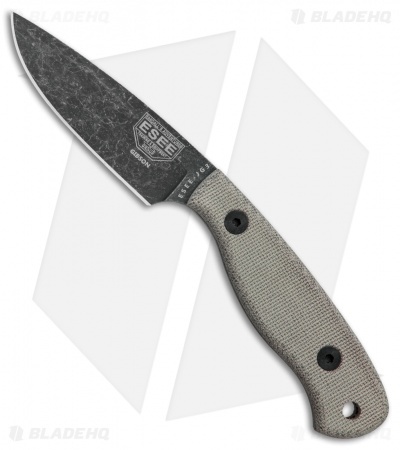 The Camp-Lore series of knives from ESEE are designed by some of the most experienced woodsmen in the world and made in Idaho, USA.